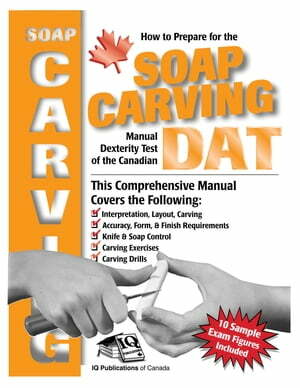 Collins Booksellers - How to Prepare for the Soap Carving Manual Dexterity Test of the Canadian DAT by Liv Reschke & Sally Hunter, 9781896784519. Buy this book online. Practice, practice, practice! The best way to prepare for a test is to practice! Each of our practice soap carving diagrams is designed to be slightly more difficult than the actual exam, to build confidence on the day of the test. This book offers a complete, illustrated guide to the manual dexterity component of the Canadian Dental Aptitude Test (DAT) exam. Includes over 70 teaching diagrams and photos, plus 10 practice carving diagrams.